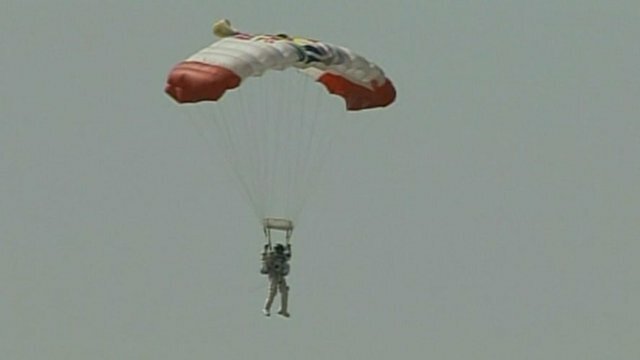 Baumgartner leaps to skydive record Jump to media player Austrian Felix Baumgartner has broken the record for the highest ever skydive by jumping from a capsule 128,000ft (39km) above New Mexico. In full: Daredevil skydiver breaks records Jump to media player Watch as Austrian Felix Baumgartner breaks the record for the highest ever skydive by jumping out of a balloon 128,100ft (39km) above New Mexico. 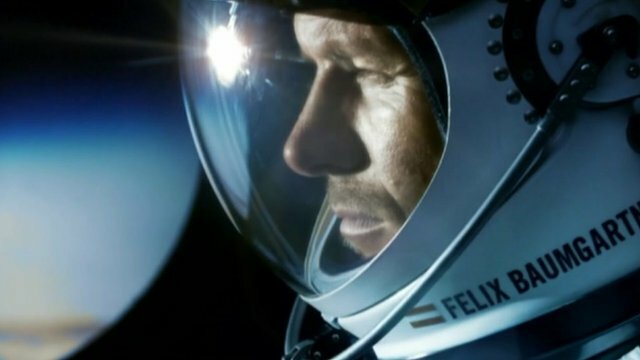 Austrian skydiver sets new records Jump to media player Austrian Felix Baumgartner becomes the first skydiver to break the speed of sound, reaching a maximum velocity of 833.9mph (1,342km/h), officials say. 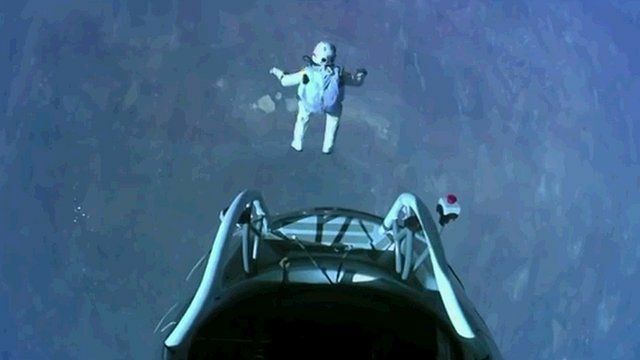 Record jumpers on leap into unknown Jump to media player Felix Baumgartner and his adviser Joe Kittinger, the current freefall record holder speak about the experience of falling from such heights at such speeds. Austrian Felix Baumgartner has become the first skydiver to go faster than the speed of sound, reaching a top speed of 833.9mph (1,342km/h). 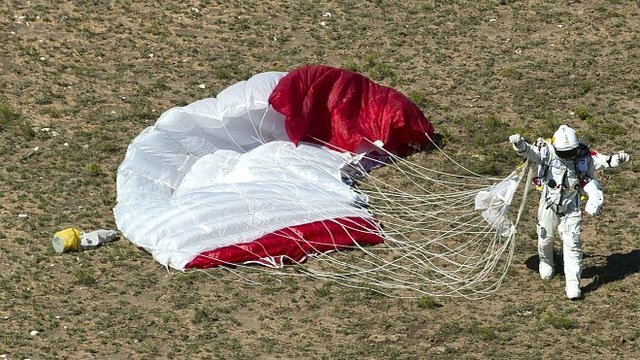 The 43-year-old jumped out of a balloon 128,100ft (24 miles; 39km) above New Mexico, breaking the record for the highest ever freefall. It took just under 10 minutes for him to descend. Only the last few thousand feet were negotiated by parachute.